So the fence is still up…. We are still here. There are people still actively working towards a resolution that will return public access to this Community well. As legally deeded. It looks like the Ancaster Well might end up a hot topic for our Provincial Elections. 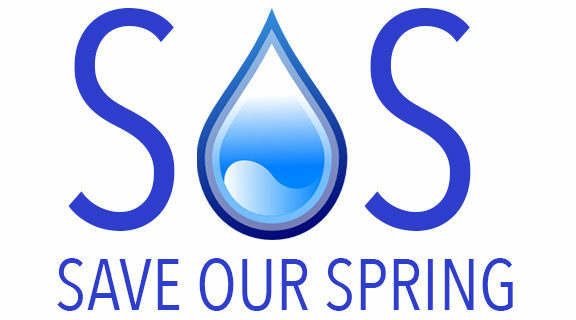 The Hamilton Conservation Authority cited the Ontario Provincial Drinking Water Standards as the onus to fence or close the Ancaster Well – against the legally binding land deed. EXCLUDE NATURALLY OCCURING WATER SOURCES. Ted McMeekin has chosen not to………………. I ask you to please consider taking a stand against the Privatization of the Ancaster Well. We spoke briefly at the Ancaster Fair opening ceremonies. I can assure you that the community as a whole is not behind Councillor Ferguson on this issue. There has been a tremendous amount of support to continue to fight against the fence or closure. I have been part of this process from the beginning, and I believe that there is a Political agenda that has yet to come to the surface, and I believe it has to do with the adjacent property. This land was donated the land to the Town of Ancaster with a restrictive covenant that the land stay in the public realm. The City of Hamilton acquired the land thru amalgamation with the restrictive covenant. I strongly believe that there is no health issue with the water, and that there is no health order to close the well, and in fact this is a voluntary action by the HCA which contravenes the covenant and is illegal. I further believe that there is an association to this process that was spurred by an offer on the Kennedy property that failed in the spring of 2017 due to not being able to create a public easement thru the well due the covenant. The fence does nothing to protect the community from a health perspective and in addition the HCA announced this week that they plan to stop testing the water at the well, which further endorses that they see no health issue with the water. What this fence does accomplish is making the covenant void after 6 months of fence being erected. There are groups working very hard with lawyers and with the local indigenous community. I strongly suggest that the Ontario Liberals take a hard look at the “Provincial Legislation” that our Councillor is relying on to Privatize one of the last free sources of water in Ontario. This is a big deal. We further believe that Lloyd Ferguson should be forced to step down from his role in the HCA due to conflict of interest. His role as an elected official is to support the community not corporations and land deals. Please consider supporting free access to water. ← I am “well” thank you……..